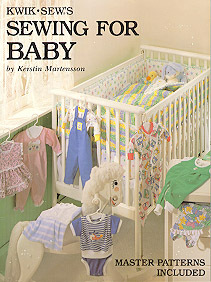 Just what you need when it comes to sewing for babies! Patterns are included for at least 30 designs! 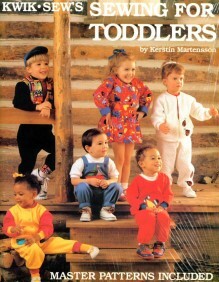 Includes patterns for sizes newborn to 18 months, many variations of shirts, sleepers, one-piece rompers and suits, sweatshirts, jackets, pants, overalls, dresses, bibs, layette, blankets, sheets, receiving blankets, bath towels, wall hangings, fabric information, clear instructions, general sewing helps, and full color photos! This book is a big favorite, and a great value!